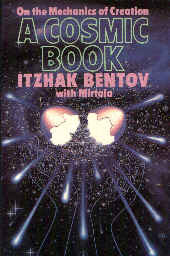 In this follow-up book to Ben's famous first book, "Stalking the Wild Pendulum," he with his wife Mirtala continues his exploration of consciousness and the universe. He creates a universe of bubble universes - a cosmic foam model for reality. His ovoid torus model of the universe is lent considerable credibility by the discovery of the anisotropy in the distribution of quasi-stellar-objects ( QSO's) in the celestial sphere. QSO's would be miniature "chip's off the old block" of the big bang in Ben's terminology: a white hole pouring out creation into one side of the torus while sucking it in through a black hole on the opposite side. Thus we have a continuous big-bang model of creation which makes more sense to me than a one-time Big Bang. Ben's concept of Self as an illusion that disappears when we finally re-incorporate the projection is priceless and right in line with Jung's thesis as I understand it. If we add to this Jung's concept of Self as the "O" in UFO, then we can understand why UFO's are so plentiful and yet disappear upon closer inspection. It is sad that this brilliant, creative mind would be taken from us so soon after his first book was just getting wide distribution (Ben died in the DC-10 crash in Chicago). I'm sorry I didn't get to know him personally, but I did read "Stalking..." while he was still alive. Wherever Ben is now we can all be sure that he is still "stalking the wild pendulum" somewhere in the cosmic foam. The spirit he created lives on in such writers as LeShan, Dossey, and Fred Alan Wolf and we readers strive to understand with them the scope of the universe and the consciousness that pervades us and it. In "Mystery Suspended Among Infinities," a meditation in Laura Huxley's Between Heaven and Earth, we are encouraged to allow our consciousness to expand to the limits of time and space. In Ben's cosmology we have only expanded to the limits of one of the bubbles in the cosmic foam when we do this. To Ben somewhere floating in his own cosmic bubble, I say "G'day Mate!"